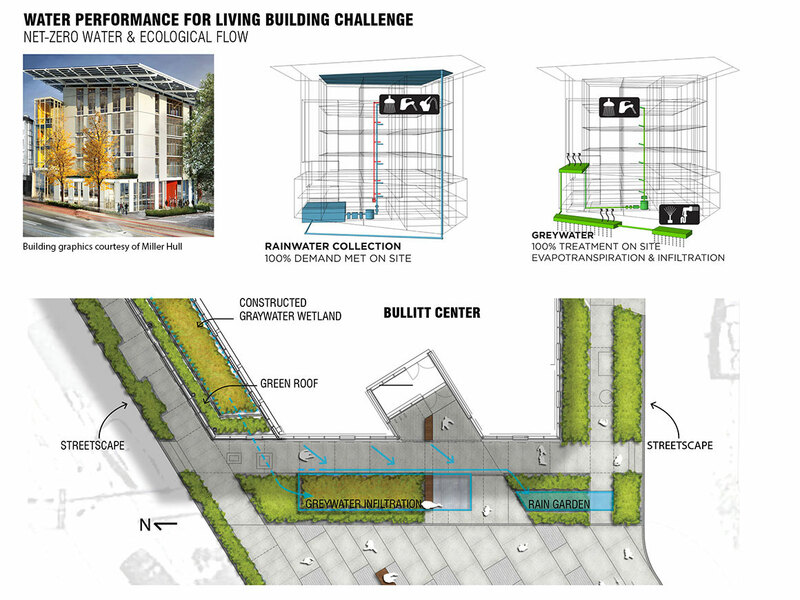 The visionary Bullitt Foundation commissioned the world’s first mid-rise commercial building and public open space to meet the Living Building Challenge. 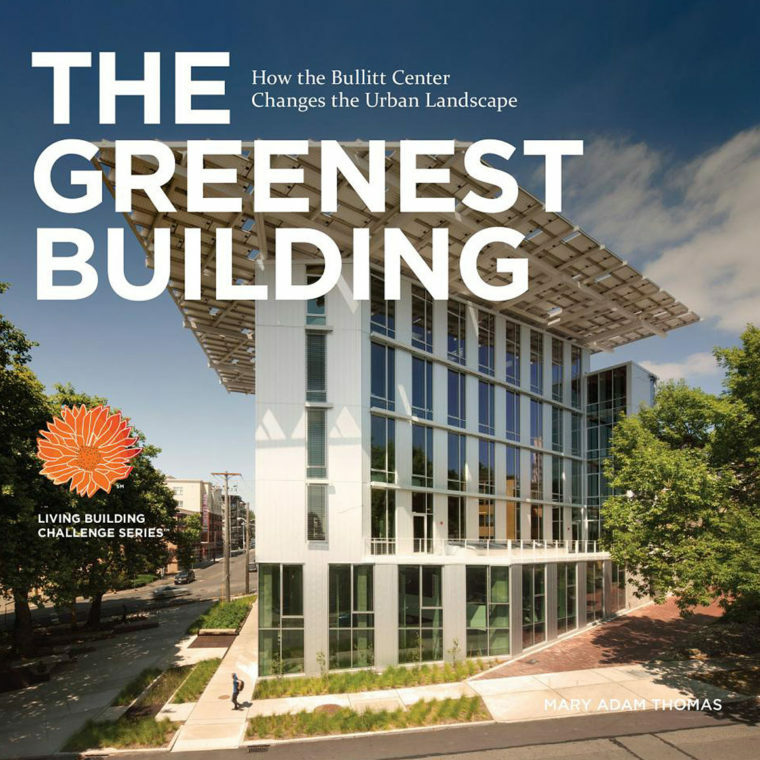 The Bullitt Center and adjacent McGilvra Place Park now serve as a model for building and exhibiting innovative and ecologically sensitive design and green infrastructure. 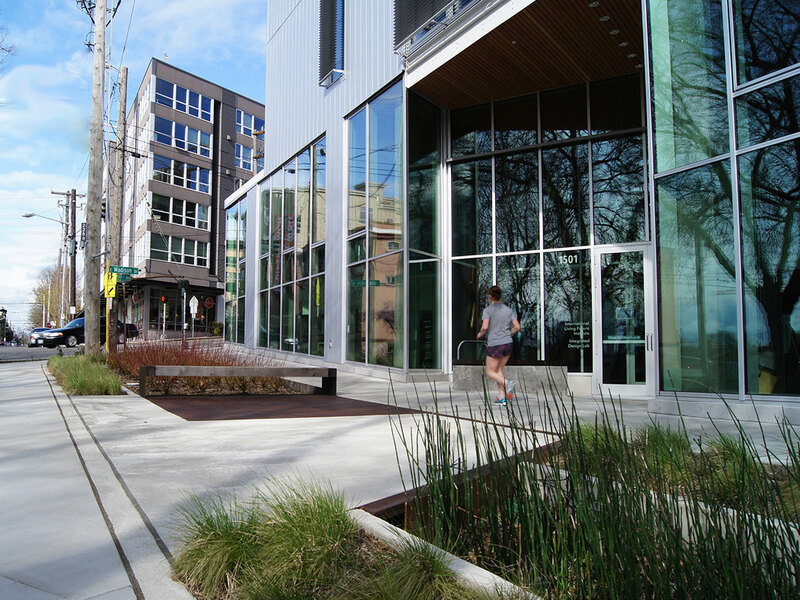 As landscape architects, we served to integrate the landscape with the building’s wastewater and stormwater systems, and crafted visual and educational connections to the public and building occupants. 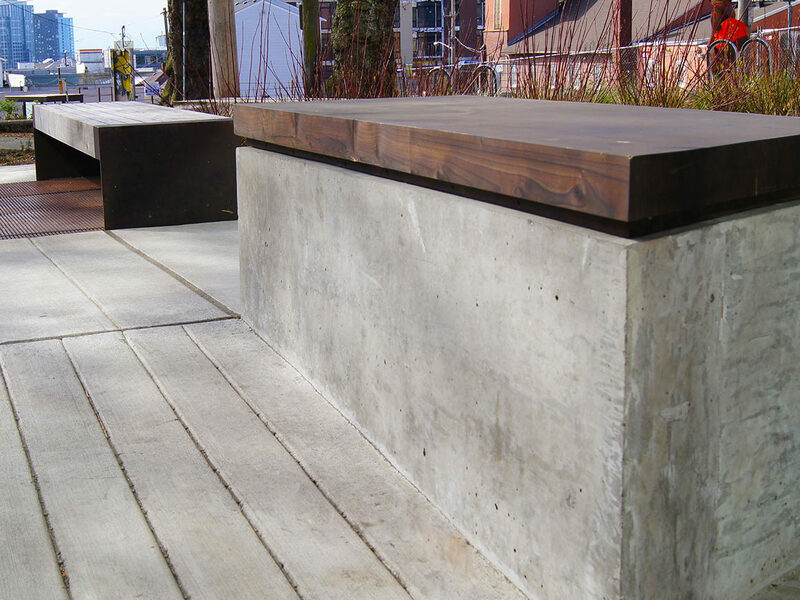 Each planting area is a functional landscape revealing the natural processes at work. 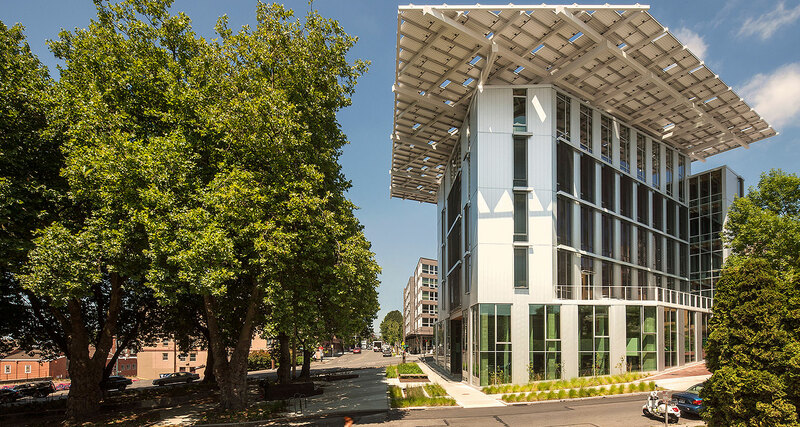 This landmark project redefines the way landscape can support and replace conventional building systems and inspire users. 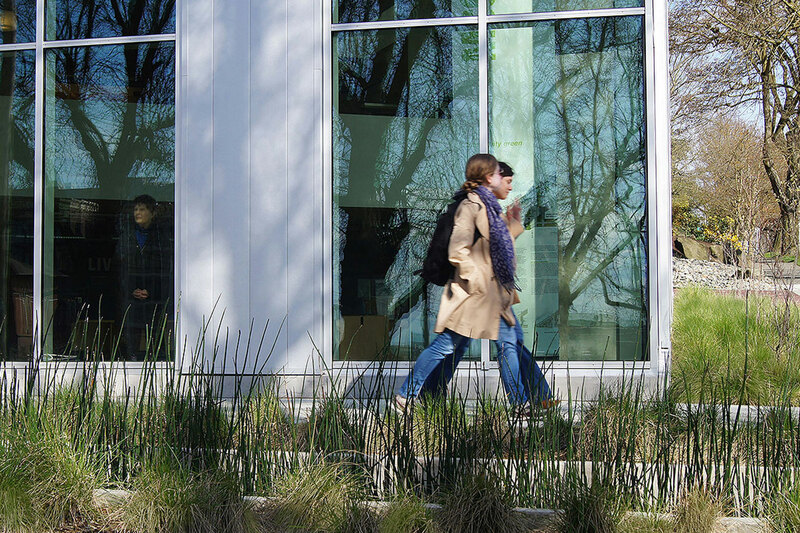 To meet LBC standards seven performance areas, also known as petals, must demonstrate performance. 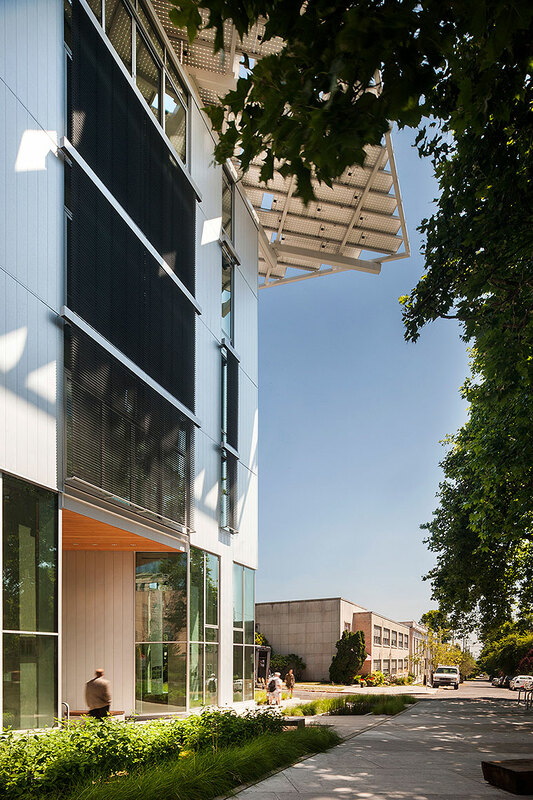 The landscape contributed to all seven petals—the two most significant being Water and Beauty + Inspiration. 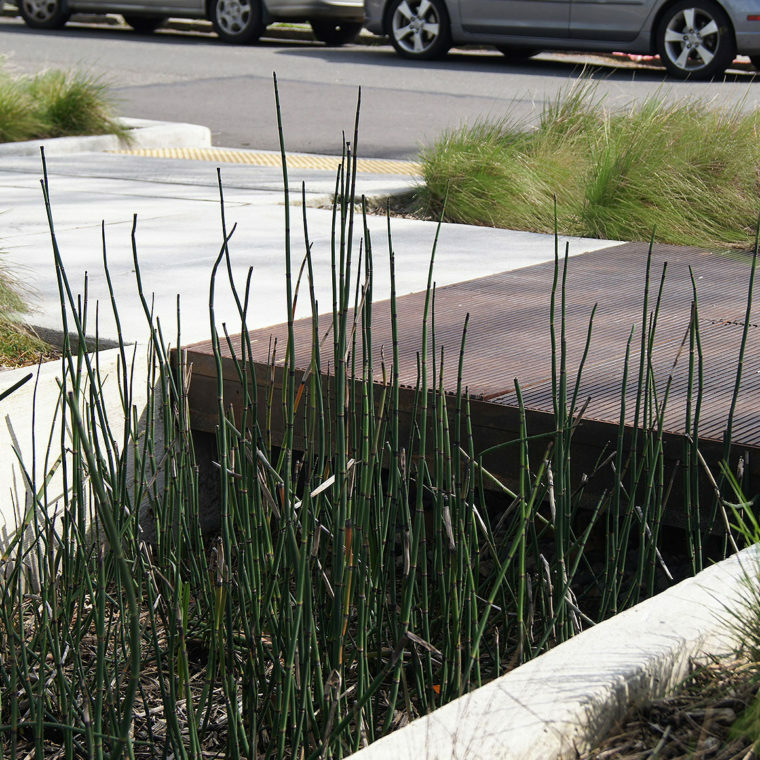 To achieve Net Zero Water engineers and landscape architects created an innovative water system that loops rainwater catchment and wastewater disposal into onsite constructed wetlands and rain gardens to store, purify and recharge water to the landscape. 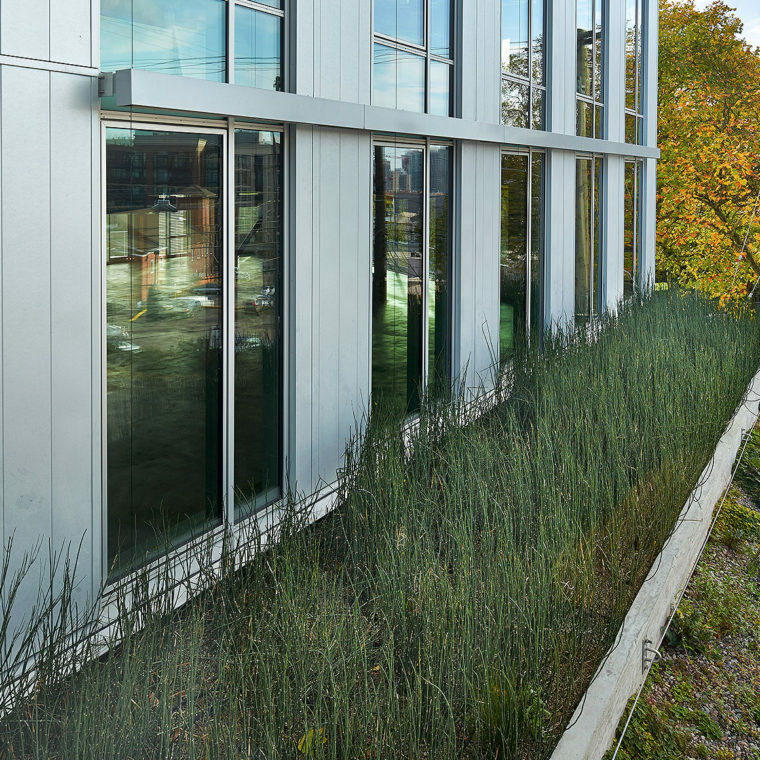 To meet Beauty + Inspiration, the plant palette provides a softened foreground to the building structure while working hard to cleanse and manage stormwater, thrive in the urban environment, and express how urban ecology is integral to supporting the building’s systems. 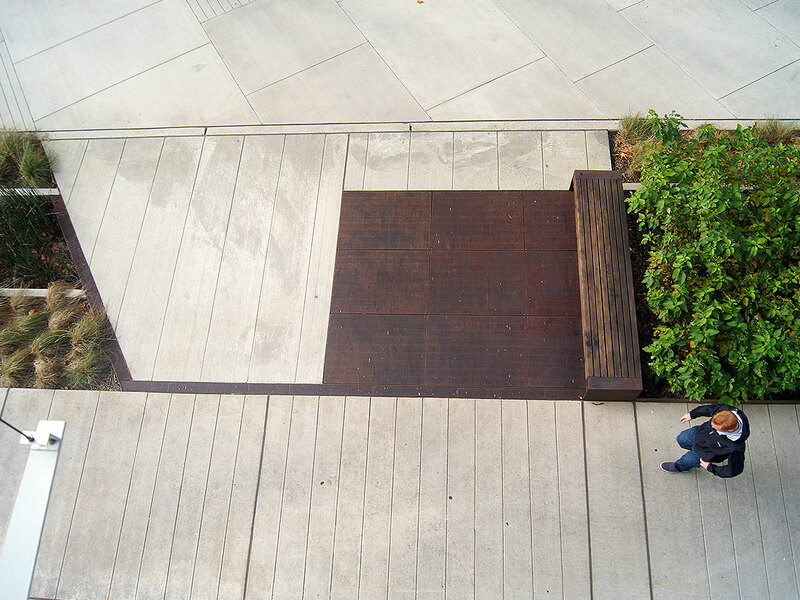 A native plant palette bridges the functional benefits for the landscape while recalling the site’s original landscape.